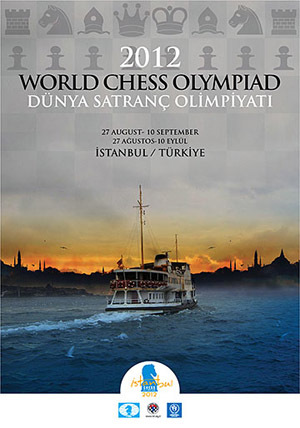 The 2012 Chess Olympiad hosted by the Turkish Chess Federation hopes to keep the Olympic spirit going in the aftermath of the London Games. The tournament will boast a record-breaking number of federations participating with over 160 nations registered. While most of the top guns will be present in Istanbul, we will have to wait until 2014 to see Magnus Carlsen honor his flag as the host country in Tromsø, Norway. Also missing are World Champion Viswanathan Anand (who last played in 2006), Alexander Morozevich and Vugar Gashimov, the latter two struggling with health concerns. So… what does the field look like this year? Most of the powerhouse teams are fully intact and poised to make a run for the medal stand. Who will bring home the gold? Before giving predictions, it will be a gross oversight not to mention the increasingly competitive women’s competition. It appears that all of the top players will be on hand including women’s World Champion Hou Yifan. This year The Chess Drum will present the prediction for the top ten and regional picks. Below are the predictions. They take into consideration development over the past two years and the current form of individual players. The 2011 World Team winners look to taste gold once again. Will the road to gold start from Yerevan to Istanbul? Armenia is a two-time Olympic champion, defending World Team Champion and silver medalist at the European Team Championship. With such a track record of success, the team will be bolstered further by the addition of Sergei Movsesian, who changed federation from Slovakia to Armenia. Movesesian was on the gold medal team that won the World Team in Ningbo, China last year, but this will be his first Olympiad for Armenia. This Olympiad squad will add more strength at the bottom with Tigran Petrosian as a reserve. This team appears considerably stronger than the golden teams from 2006 and 2008. 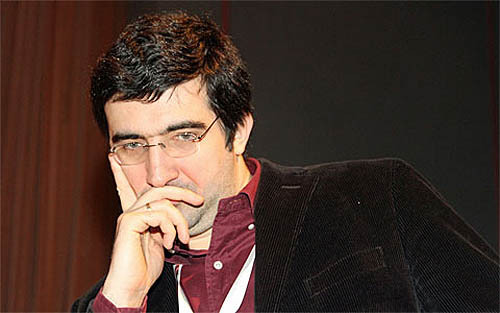 While the top tandem of Levon Aronian, Vladimir Akopian and Gabriel Sargissian have traditionally done well for Armenia, the key may be the bottom boards. Armenia faltered in the 2010 Olympiad and was not able to give any of the players a rest since reserve Avetik Grigorian only played in the first round, giving Aronian a rest. This year Armenia can afford to rest players and have a more reasonable rotation against the stronger nations. 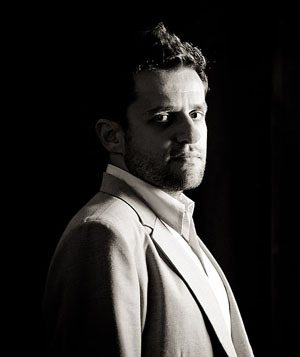 According to Aronian, the Armenian team has been training very hard for the Olympiad as a way of redeeming themselves from not making a strong defense of the gold medal in 2008. With the world’s #2 player and a strong reserve, they will be tough to beat. This may be China’s year to medal again. By all indications, their players are in form and Wang Hao seems ready to take his place as one of the world’s elite players. 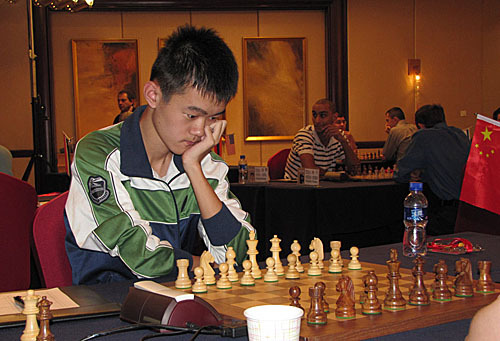 Wang Hao reached a career-high rating of 2739 in July 2012, but has not gotten many invitations and plays mostly in Chinese Leagues. Wang Yue, is solid on second board, but the “X-factor” for China will be Ding Liren, the fast rising star who is has won three consecutive Chinese National Championships and has suddenly vaulted to 2695. Ding Liren, the national champion of China, hopes to make an impression. Li Chao and the timeless Bu Xiangzhi round out a solid side for the Chinese Dragons. China came in fifth in the 2010 Olympiad and won a silver medal in the 2011 World Team. They have traditionally good chemistry perhaps similar to Armenia. The only issue may be the experience factor and the fact that Chinese players have not played in many international tournaments in the past few months. Could it be that they are hiding preparations? Will China avoid folding in the latter rounds? One thing for sure… the Chinese will be very well prepared. Russia barely missed winning the gold as the hosts of the 2010 Olympiad. It is bittersweet because they fielded a record-breaking FIVE teams and the highest-rated team in history! One of the issues is that their five teams diluted their strength and they got nothing from reserve Vladimir Malakhov. Evgeny Tomashevsky (Russia “B”) and Dmitri Jakovenko (Russia “C”) will join Vladimir Kramnik and Sergey “Mr. Olympus” Karjakin. Karjakin traditionally has had big scores for the Ukraine and last Olympiad scored an impressive 8/10 in his debut for Russia. The six-time national champion Peter Svidler is sitting out with Alexander Grischuk securing the middle boards. Last chance to get Olympic gold for Vladimir Kramnik? The team is much younger, but chemistry has been the biggest albatross for Russia. Evgeny Bareev was sacked as the national coach after a disappointing 5th place finish at 2011 World Team Championship and frustration boiled over into the press. This year the team will look for better chemistry with coach Yuri Dokhoian and Kramnik leading the way. There will be immense pressure to perform. TEAM TO WATCH: Turkey – Led by two foreign imports, Ali Nihat Yazici is attempting to build a respectable team and appears to be sparing no resources to do it. Serbian native Dragan Solak and Alexander Iptov, born in the Ukraine, will man the tables for Turkey this year. Iptov just won the World Junior Championship and will be in great form. Yazici even stated that he would import players in the future on a similar basis. (see report from Chessdom) They have also raised some native Turkish players as Grandmasters. While they most likely will end in the respectable 30th-50th place, look for the Turkish team to score some upsets. After being shut out of the the medals in the 2008 Olympiad, China reasserted their strength by winning a silver at the 2010 Olympiad and posted a dominant performance at the 2011 World Team winning the gold medal. China has dominated the women’s circuit for 22 years (spanning 11 Olympiads) with 10 Olympiad medals (four gold, two silver, four bronze), since 1990. There is no reason to believe they will not be the favorites in this tournament with women’s world champion Hou Yifan on top board and Zhao Xue and Ju Wenjun, both who are in superb form. WGM Ding Yixin makes her Olympiad debut. Photo by Zhang Xiaolu. Zhao Xue will hope to turn in one of her prodigious Olympiad performances She scored 11/12 in 2002, 10/12 in 2004, 10/13 in 2006, 6.5/11 in 2008 and 7/10 in 2010. Ju Wenjun had a spectacular performance in Khanty-Mansisyk scoring 9.5/11 and a silver medal on board two. 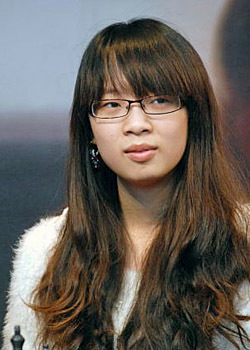 WGM Huang Qian will return on board four and hopes to provide stability, but she will have to improve on her -1 performance from 2012. Ding Yixin will serve as a reserve player replacing the productive Wang Ju from the 2010 team. The little-known player has set a blistering pace with sterling performances in Asian Cup and Chinese League play. Over the last six months her ELO has improved 70 points. China will probably play their top three players most rounds and alternate between Huang and Ding. What is amazing is the depth of China’s talent pool and there are even more players in the pipeline. With Ye Jiangchuan as the national coach and former women’s champion Xie Jun as a mentor with the Beijing Sports Commission, they have built an lasting foundation. The defending Olympic champions will have their work cut out for them. Since winning the gold, individual play by team members has been spotty. The Kosintseva sisters (Nadezhda and Tatiana) have stagnated while both Valentina Guinina and Anna Pogonina have continued to thrive. Since 2010 Alexandra Kosteniuk had dropped to 2439 before rebounding as of late to regain 50 points. Russia hopes to find a bit of consistency in Istanbul. Having won silver medals in the 2009 World Team and 2011 World Team behind China, they will certainly be in medal contention. Of course they will hope to repeat their stunning Olympiad performance in Khanty-Mansisyk. The main site has all of the players with the title “GM”. It appears that only three have earned the full GM title. Even so, Russia is the very first women’s team in history to field a team of three full Grandmasters. Will India finally step to the medal stand? Surprise pick here. 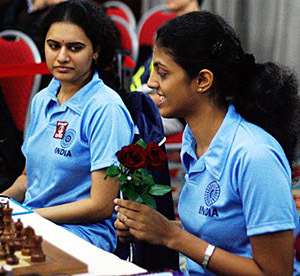 India has hovered near the top of women’s chess for a decade and have Humpy Koneru as their leader. With a very close-knit team and this tournament being in hospitable conditions, this may be India’s breakthrough in finally getting an Olympiad team medal. Humpy has played well as of late coming joint first in the recent Women’s Grand Prix in Kazan with Anna Muzychuk of Slovenia. The world championship challenger is in good form after having a spat of bad results shortly after losing the championship match against Hou Yifan. 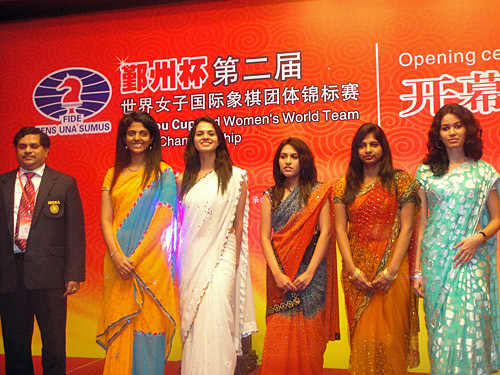 India came in a disappointing 17th at the 2010 Olympiad, but rebounded with a 4th place finish in the 2011 Women’s Team in Mardin, Turkey and a silver in the 2012 Asian Team (women). Iran at 2012 Asian Team in Zaozhuang, Shandong, China. TEAM TO WATCH: Cuba – This Caribbean team has always been a bit quiet, but of course the strong tradition in chess provides motivation to excel on the big stage. Oleiny Linares-Napoles was the leading scorer in 2008 with 9/10… good for a silver medal. In 2010, the team was led by WGMs Sulennis Piña-Vega on 7/9 and Yaniet Marrero López who won gold with 7/8. They improved their team standing from 25th in 2008 to 4th in 2010. Cubans are deceptively strong and their ratings may be a bit deflated given their location and difficulty to play in strong international tournaments. They very well could get into a medal position. No Alexei Shirov for Spain (playing for Latvia) and Vugar Gashimov’s absence will hurt Azerbaijan. I’m not quite sold on Russia’s chemistry just yet. Lots of changes have been made in such a short time. Of course, these are only projections and time will tell. 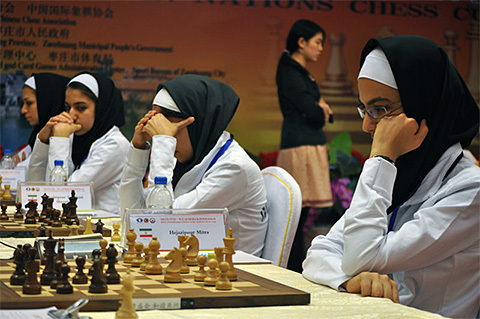 The prediction of Indian women with bronze and Iran’s top ten are long shots, but there shall be some changes in the usual pecking order of chess. African prediction for 3rd, maybe Zimbabwe will get the bronze or even beat S.A into 2nd place. I would agree. I was not really sure if Farai Mandizha was going to be making the trip. He tells me he is. If so, then Zimbabwe stands a good chance to get a “regional medal”. Dr Daaim please enlighten us more about these “regional medals” are ther categories to get medals for different regions. unfortunately im new to this and have no idea how medals are awarded. Thanks. I believe those medals are for strength categories, not regional categories. My rankings are merely predictions by region and have nothing to do with those medals awards at Olympiad. Below were my predictions. In the parentheses was the actual placing for the country. 1. Armenia (1st) – Full marks! Armenia was bolstered by the play of Aronian (7/10, 2849 TPR), Vladimir Akopian (7½/10, 2803), Gabriel Sargissian (7/11, 2676). It appears that the formula for winning gold is to have at least two players with 2800 TPR. 2. China (4th) – Critical loss in the last round to the Ukraine prevented them from winning a possible gold medal. China had beaten Armenia, so a win would have put them in line for at least a silver. It was a disappointment for China who had lead a various stages and apart from a loss to Russia was stable. 3. Russia (2nd) – Still no gold medal. Russia’s loss to the USA derailed their momentum. In addition, Russia won matches by close scores damaging their tiebreaks. It was stated that Grischuk, who played every round, was fighting fatigue at the end. Kramnik only got 5/9 with six draws and a loss to Nakamura. 4. Hungary (9th) – The last-round loss to Armenia knocked them out of medal contention. Judit Polgar lead the way with 7½/10. The Hungarians simply lost too many matches in the end also falling to Russia and Germany. 5. USA (5th) – Spot on! Unfortunately, the USA could not beat China in the 10th round and it pushed them out of legitimate contention. The Americans (again) were led by the “Big Three” of Nakamura (6/9, 2794), Kamsky (8½/11, 2796) and Onischuk (6½/10, 2693), but Ray Robson scored well in his Olympiad debut (5½/8, 2621). 6. 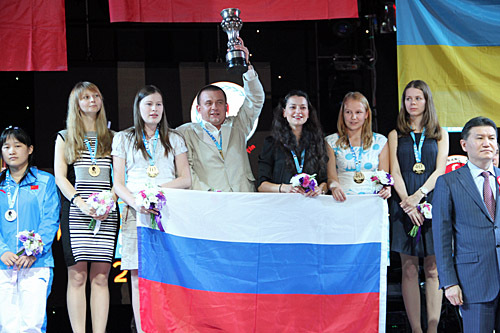 Ukraine (3rd) – Despite two meltdowns by Vassily Ivanchuk, the Ukrainians came through in the end. Ivanchuk stayed at the board for more than 30 minutes after his loss to Modiakhi of Qatar and 15 minutes after the draw with Kramnik. Many stated that Ivanchuk wailed at not saving the match against Russia. Nevertheless the Ukraine was on the medal stand having made a reasonable title defense. 7. France (23rd) – Virtual collapse. A big loss to the Ukraine (where Vachier-Lagrave was brutally crushed by Ivanchuk) and an 3-1 upset loss at the hands of Romania (without Nisipeanu) sealed the fate of the Frenchmen. Even a +3 win over South Africa was not redemption enough. 8. Netherlands (6th) – Hard to medal with three losses, but the absence of Anish Giri for the first four rounds was the main factor. The Dutch were upset by the Venezuelans and beaten by the Georgians to put them far back in the field. They won six in a row before being crushed by the Armenian juggarnaut. Sixth place is a creditable finish. 9. Poland (13th) – The loss to the USA was the key. Unfortunately, Poland also lost a lot of games (10). This may have shown the instability they suffered in the tournament. Radoslaw Wojtaszek was one of the highest scorers in the tournament with 7½/10 and 2844 getting the silver medal on board#1. 10. India (35th) – Another collapse. Ranked 13th at the outset, India faltered when their top two boards failed to win a game in the last seven rounds. The bright spot was Abhijeet Gupta medal performance on board #4. India will need to strengthen their reserve position to provide more balance. Anand would certainly help matters, but they much find the composition that works better. Sasikiran only won one game (4/10, 2584) and that was against an IM from Turkey. In two years, we may see a different lineup. 1. Russia (2nd) – Eked out a gold medal with a 4-0 blitz of Kazakhstan. This allowed them to overtake China on tiebreaks despite trailing in the 10th round. China was held by the same Kazakhstani team giving Russia the chance, though improbable. Russia beat the odds, but would not admit that the Kazakhs had simply played above their level against China and did not provide them a challenge. 2. China (1st) – A silver medal was not what China wanted. Leading throughout the tournament, China was coasting to another gold when they met Kazakhstan whom they outrated by 100 points on every board. That match ended in a shocking 2-2 and China would struggle to beat Bulgaria who had a former women’s champion on board #1. 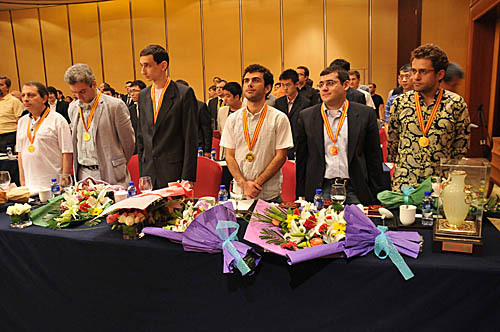 China scored well with Hou Yifan (6½/9, 2645), Zhao Xue (8/10, 2574) and Huang Qian (8/10, 2547) leading the way. 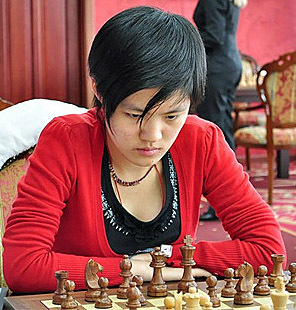 Ju Wenjun had a disappointing tournament and it was her key loss to Bulgaria’s Margarita Voiska (2231) that hurt China’s gold chances. 3. Ukraine (6th) – With convincing wins (several by scores of 3-1 and 3½-½), the Ukrainaian women scored important victories over USA, Poland and Germany to claim bronze. Kateryna Lahno and Anna Ushenina score 7/10, Natalia Zhukova had 6½-2½ and Mariya Muzychuk had 6/9 for incredible balance.